I set up to take Alex Wild's (Myrmecos) challenge to select my best 2012 photos. I started going through the 7,405 photos I have kept this year and was quite daunted by the task as I find it difficult to compare across topics, animal groups, macro/not, etc. 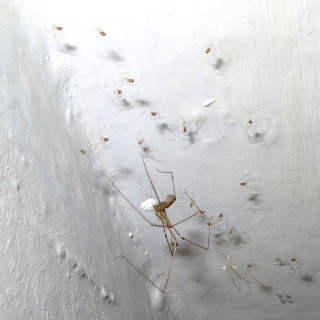 Then, after checking quite a few I thought that 2012 has been a great spider year. 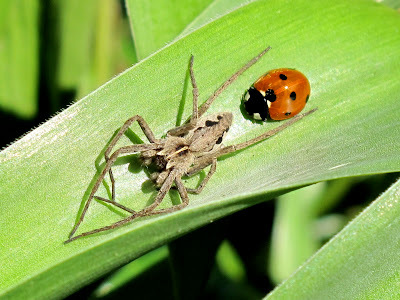 I have learned so much about their natural history and behaviour, and welcomed quite a few new species in the garden so I thought I'd made a selection of the best. It was fun to take part in the challenge, and I hope you like them. This is a wolf spider of the genus Pardosa. This year I was privileged to witness its amazing courtship. Males tiptoe as they slowly approach a female, while signalling with their pedipalps. And then she lays her eggs and wraps them in a silky sac that she carries about secured to her abdomen. In our holiday trip to Asturias we saw this Spider Wasp (Pompiliidae) carrying a paralised crab spider, probably Xysticus sp across the road. A bunch of Enophlognata ovata females were inadvertently taken to the recycling bin after some shrub pruning. 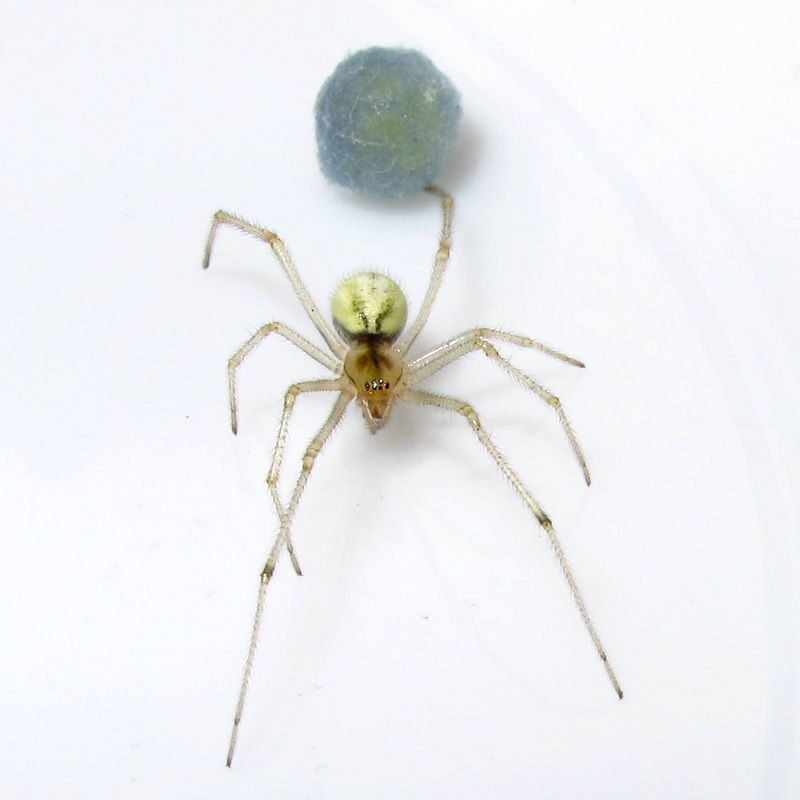 I moved this one to the white bowl and she dragged her blue egg sac with her on a strand of silk. Steatoda bipunctata, the common false widow spider is an abundant species in the garden. 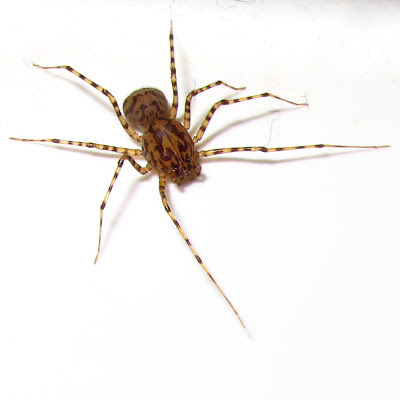 This is a female. 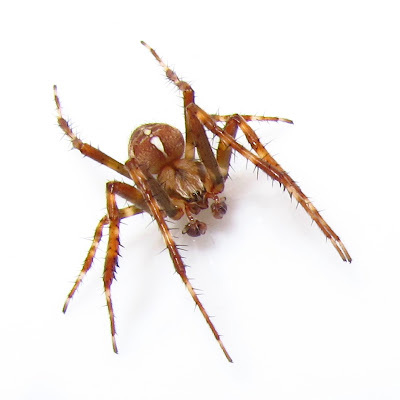 And this is a male. 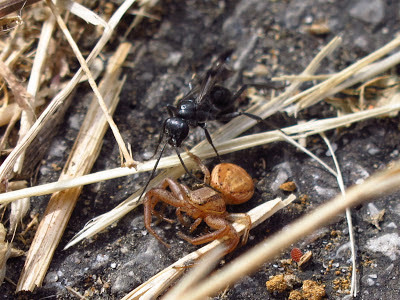 Males in search of females often run on the ground and look remarkably like common garden ants, Lasius niger. 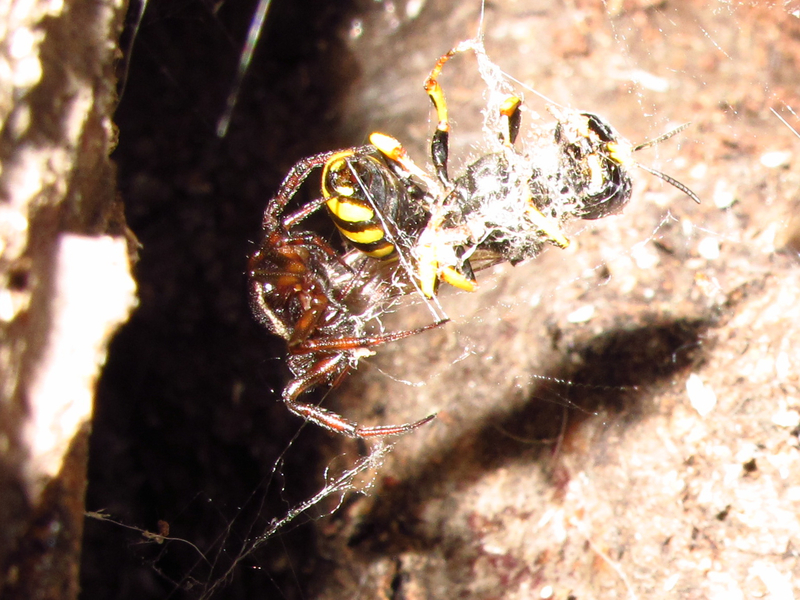 Despite its small size, this spider can subdue ferocious digger wasps. 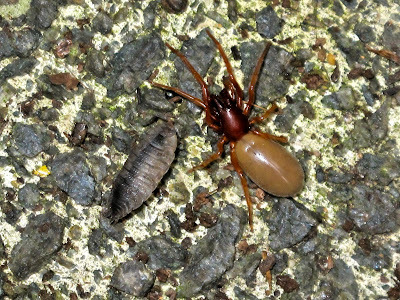 Queen and male ants trying to disperse often fall prey to it. And then they settle not too far away. 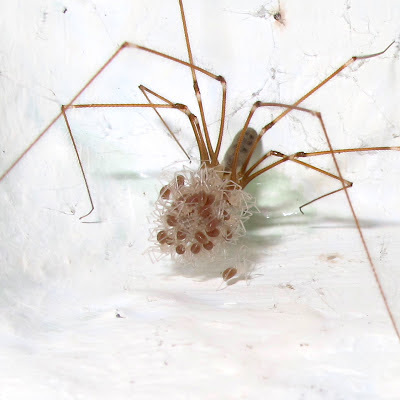 Here you can see the empty egg shells still held by the female. The spiderlings stay with mum for a couple of molts and then disperse. Presumably they do not feed during this time. Araneus diadematus is one of the commonest UK spiders. 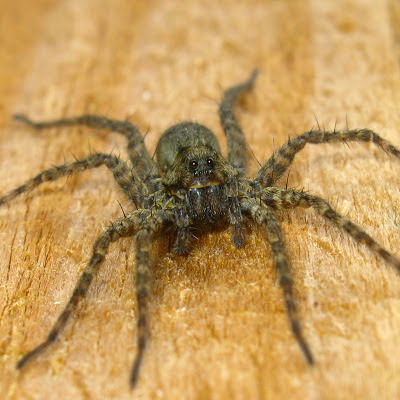 This is a male. 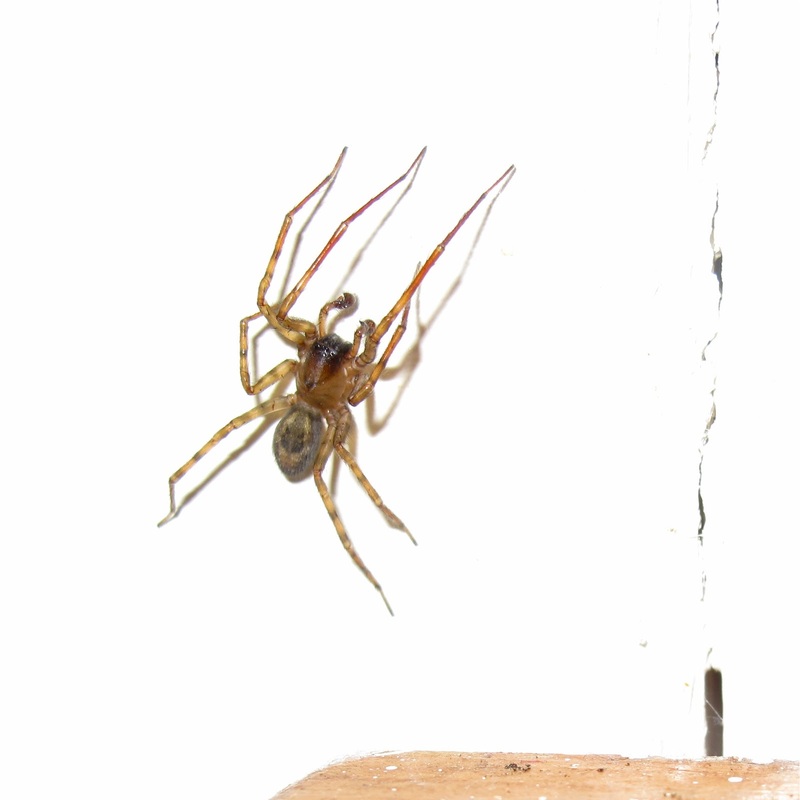 Here a male in the foreground explores the edges of a female's web (upper felt side corner). 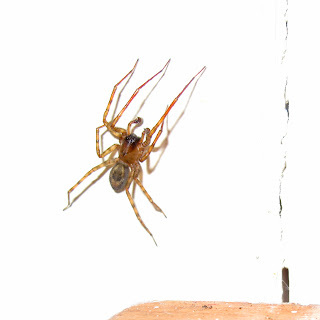 He might spend several hours approaching the female, sending vibrations down her web. Any wrong step and he might fall prey to the female's appetite. 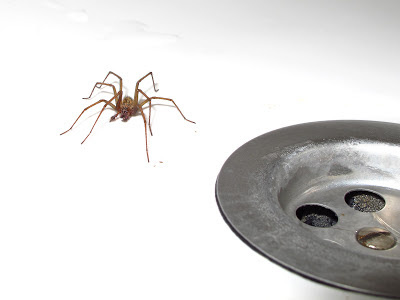 The feared bath spider, is often a male Tegenaria sp., which, in his wanders in search of females, falls trap to the slippery slopes of the bath. I learned quite a bit about this spider, Amaurobius similis. Here a male, by a windowsill, wanders near a female's retreat. A few days before I had watched her 'carding' her bluish silk at night. 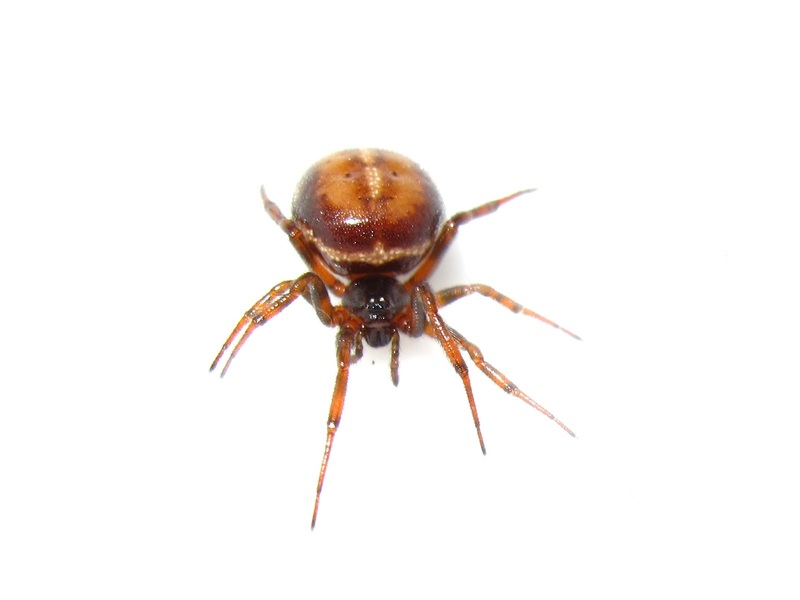 Amaurobius is a fierce looking species. 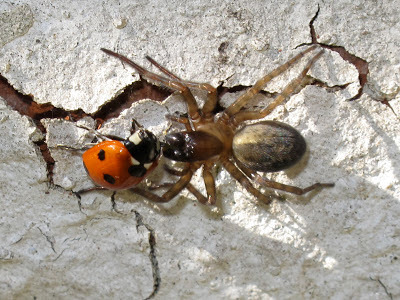 A female jumped out of her retreat at tugged at a ladybird's leg. A few seconds later, she let her go, maybe finding it distasteful. 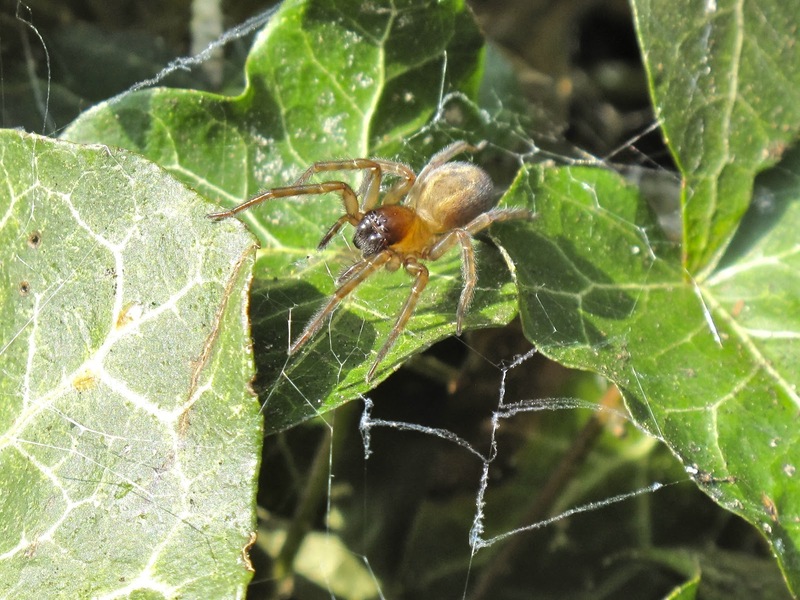 In March, this Amaurobius female was tempted our of her retreat by a bee that got tangled on a thread of her silk - and that I was trying to photograph - the bee escaped unharmed, but it allowed me a photo of this female spider in the light of day, and showed nicely her bluish carded silk threads. This is a horrible photo, I hope I have the chance of finding this again next year. 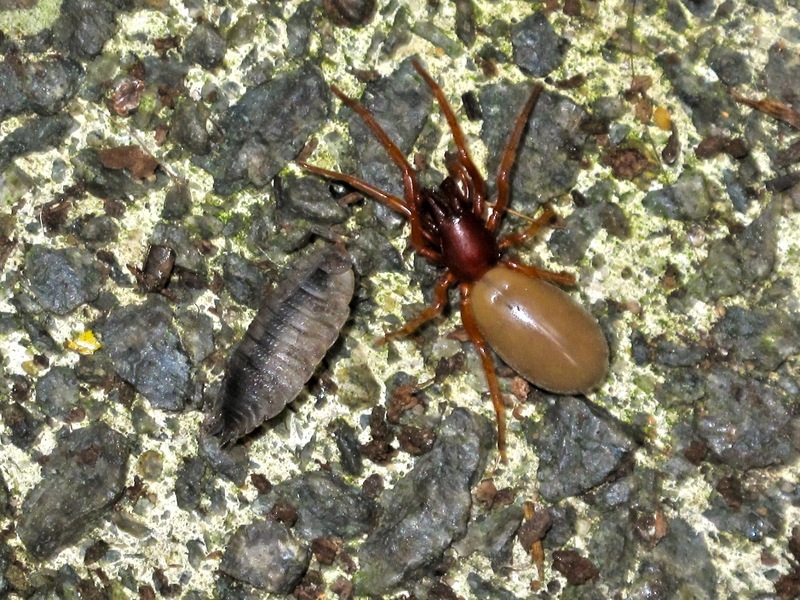 Upon lifting a pot I found this Dysdera crocata holding its dead woodlouse prey. 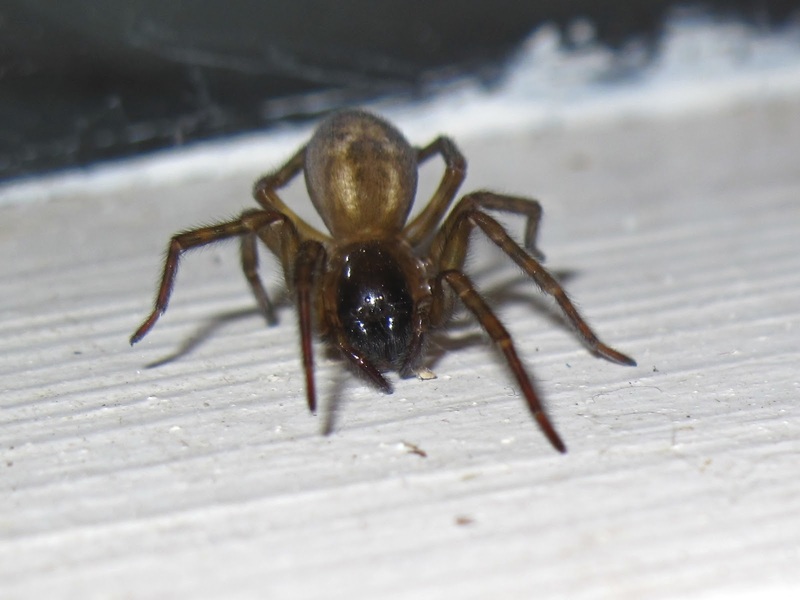 Unfortunately when I got the camera the spider had already retreated and this is the only shot I got before she run away. 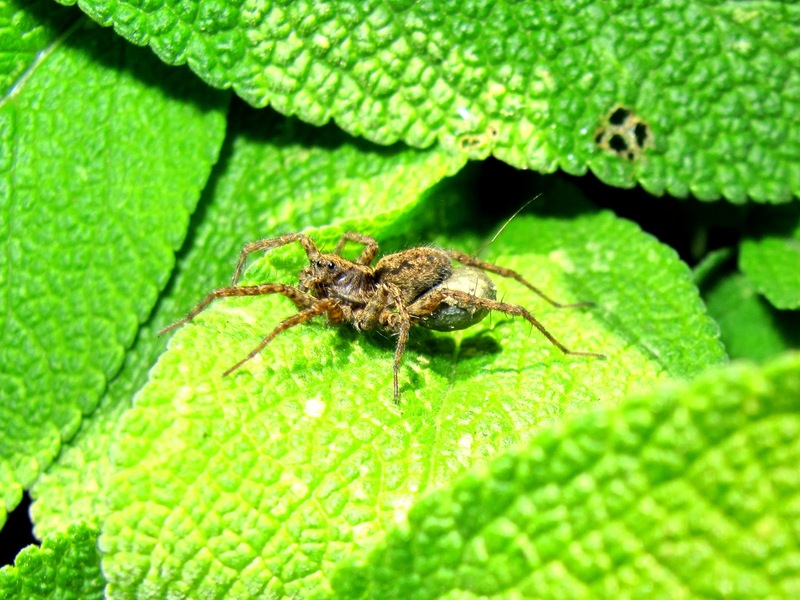 In 2012 a new spider species, Pisaura mirabilis, the fascinating nursery web spider, appeared in the garden. One specimen, a young male (top shot) stayed for days on our garden back fence and let me take his portrait. Philodromus sp., a relative of the crab spiders, are tiny spiders which like to bask on or near flowers. 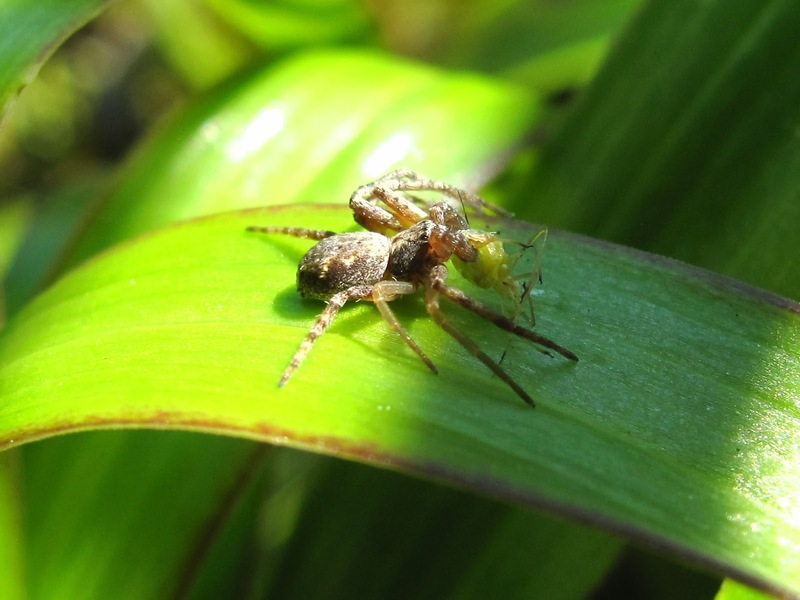 This one has captured an aphid. 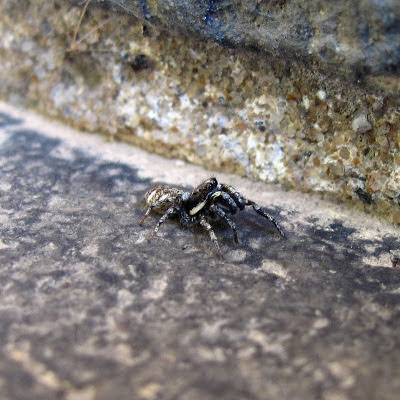 I like this photo of a Zebra spider, Salticus scenicus, as it appears to be looking intently where to jump next. 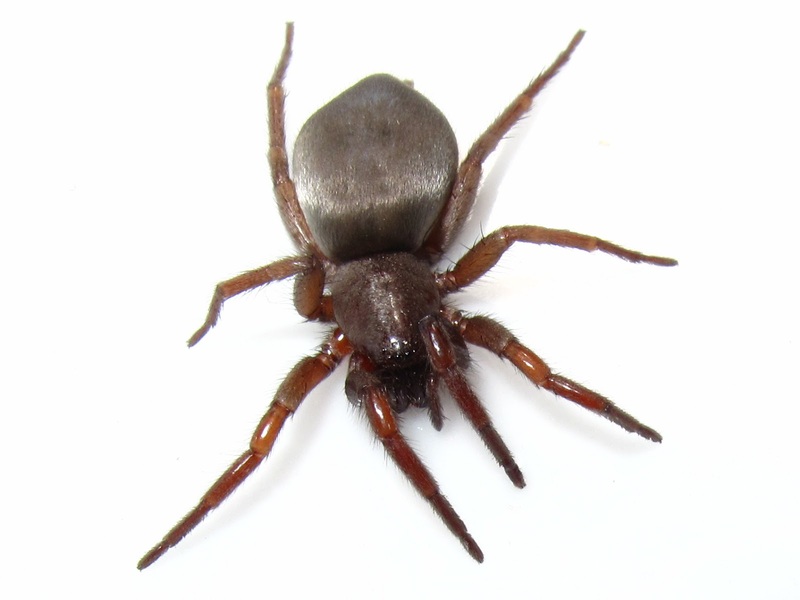 This is a mature female Mouse Spider - I think Panther Spider would be a better fitting name for this beautiful spider. I love her dark, glossy coat and powerful look. 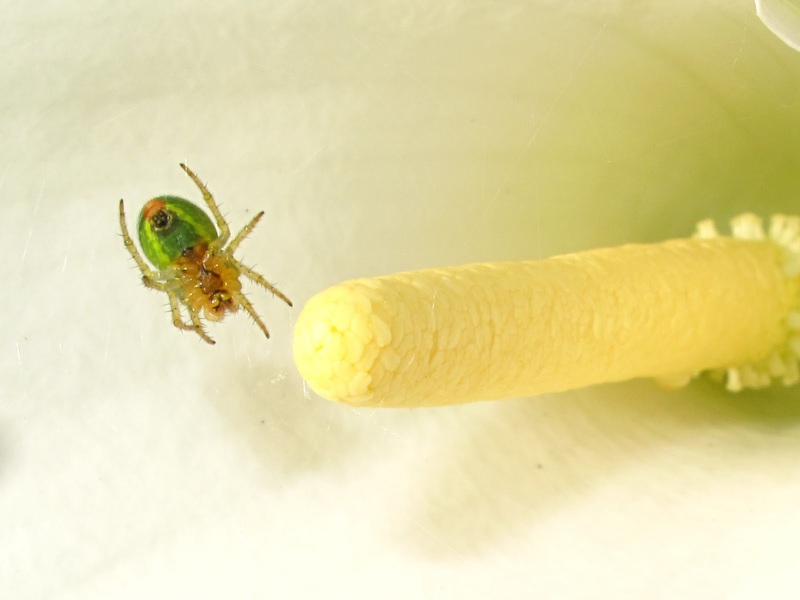 A natural white background exposes this Araniella sp. These tiny orb weavers are normally quite camouflaged in the shrubs and bushes where they live. 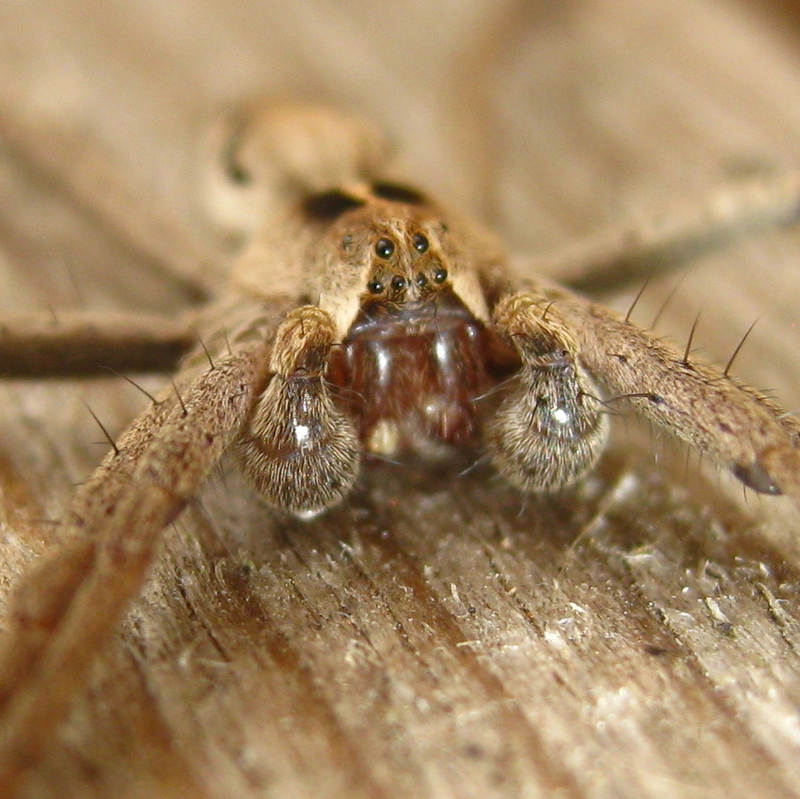 Another new species for me this year, an iridescent male of Philodromus sp. 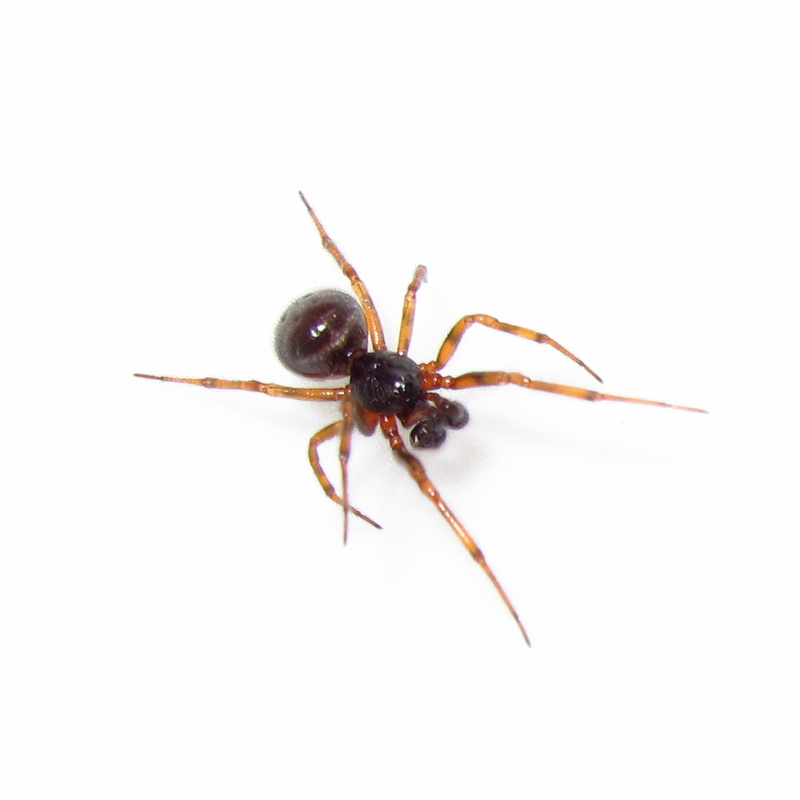 Although the tropics are much richer in ant mimic spiders, some species can be found in the UK. This is Micaria pulicaria. It likes to run on the ground in the company of garden ants, Lasius niger. 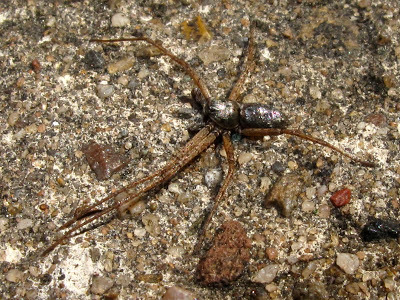 It carries its forelegs pointing forward in a way reminiscent of the ant's antenae. 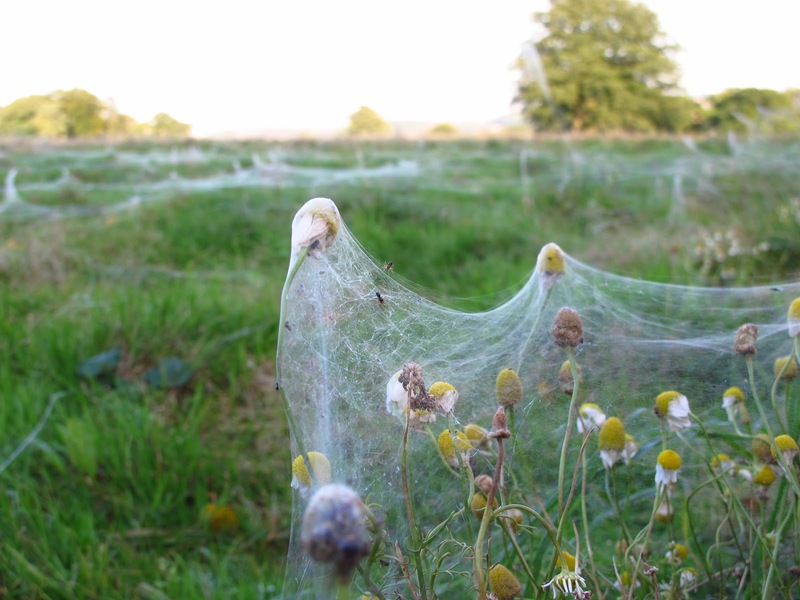 We found this field covered on gossamer, fine silk threads used by money spiders to balloon. Click to embiggen and see the tiny spiders in the middle of the photo. Lovely photos - did make me cringe a bit though! 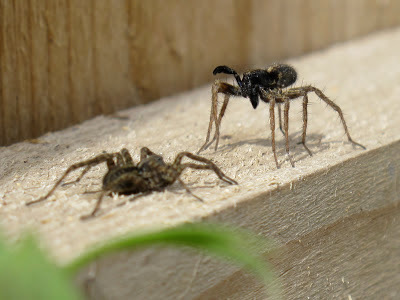 I like The Zebra jumping spider one the best! My GOODness, I am SO going to have to share this on facebook. 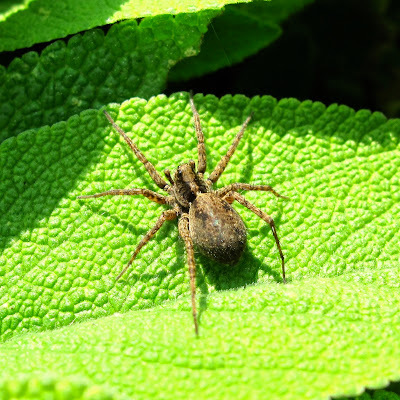 What an amazing review of SO many different species, and you've identified so many. Plus, of course, amazing photographs. A true treat. I'll consider that my invertebrate Christmas present. Thanks!!! Thank you Alice, sorry to make you cringe! biobabbler, I am glad you enjoyed it. 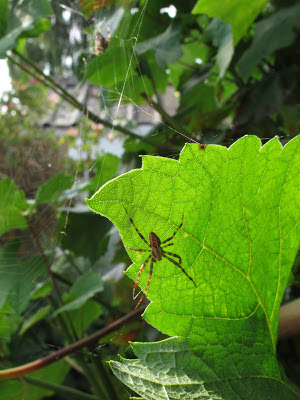 I have counted 27 species in my garden. 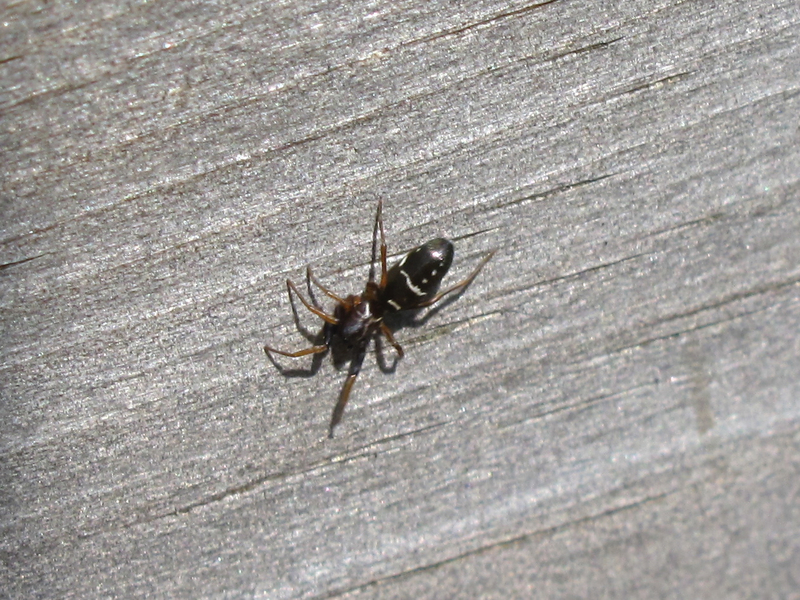 I am sure there are many more, but likely to be tiny Money spiders. Only an entomologist would say that the best feature of a Holiday Inn was a spider you found there. Somehow I doubt that the management will want to use your comment to promote the hotel.